notary public | Notary & Apostille Service, Inc. If you are planning to do business outside of the USA then there are certain procedures that you must follow in order for your documents to be acceptable in any country outside of the USA. Your document must have an Apostille that meets the requirement of the Hague Convention of 1961 or your document must be Legalized through an NYC Consulate or your document must pass through the United States Department of State (USDOS) & an Embassy for that country in Washington, DC. Notary & Apostille Service, Inc. has been providing & making the legalization service easy for corporate & individuals for over 6 years. Let us take the hassle out of this paper of getting your documents legalized. We can provide service for any NYC Consulate or Washington DC agency or Embassy. We also offer same day rush service for most documents getting a New York State Apostille. In addition to our legalization service, we also offer mobile New York State Notary Public service to you or your clients in the local NYC, Westchester & Long Island area. §137. Statement as to authority of notaries public. A notary public who is duly licensed as an attorney and counselor at law in this State may in his discretion, substitute the words “Attorney and Counselor at Law” for the words “Notary Public.” A notary public who has qualified or who has filed a certificate of official character in the office of the clerk in a county or counties within the City of New York must also affix to each instrument his official number or numbers in black ink, as given to him by the clerk or clerks of such county or counties at the time such notary qualified in such county or counties and, if the instrument is to be recorded in an office of the register of the City of New York in any county within such city and the notary has been given a number or numbers by such register or his predecessors in any county or counties, when his autographed signature and certificate are filed in such office or offices pursuant to this chapter, he shall also affix such number or numbers. No official act of such notary public shall be held invalid on account of the failure to comply with these provisions. If any notary public shall willfully fail to comply with any of the provisions of this section, he shall be subject to disciplinary action by the secretary of state. Notary & Apostille Service, Inc. is a private for profit company registered in the state of New York. We help our clients get their documents legalized (Apostille) for use in any foreign country since 2009. We are a New York State company that offers you a Safe, Reliable, and Affordable Apostille Service. We are not related to any governmental agency. We do not issue or sell documents. We are not lawyers and we do not provide legal advice, tax advice or any other legal or professional advice of any kind. Notary & Apostille Service can process your educational documents for use in any Hague Convention country that requires an Apostille document. There are basically two way to approach this matter that we will discuss. The first method we call The Direct Method, and the second is called the Indirect Method. Both methods will allow you to get an Apostille or Certification of your educational document but the method use to get the Apostille is different. In order for Notary & Apostille Service to get an Apostille for your document, your document must be notarized by a notary public from that state that the document was issued from. Some foreign agencies may request that the person who signed the educational document signature be notarized or it can be any official at the educational institution (i.e. Registrar, Administrator, Bursar), there are many other ways that we can get an Apostille, however, this is the best way, other methods will be discussed later. If the school is within our service area of New York City/Long Island and they do not have a Notary Public on their staff then a Notary Public must go to the school to get a school official signature notarized that your degree is a true copy or get a notarized letter indicating that you have an original degree. If the school will send me this notarized letter & the notary public is qualified within the New York City or Long Island area (Manhattan aka Kings, Queens, Brooklyn aka Kings or Nassau County) there is no additional charge, otherwise there is a County Surcharge for an “Out of county notary public authentication”. There is a charge for this service if the schooldepending on the service ordered. First, you will also have to contact the school via email or voice and give them permission for me to get a certified copy of your degree or for me to pick up an original educational document (i.e. degree, diploma, completion certification or transcript) & a notarized verification of your educational document letter. Some schools may require you to send your original degree to prove you are the holder of that degree. However, check with your school for the proper procedure to follow as these steps are only typical. If you are going to send me the original degree, it will be attached to the Apostille & should not be separated. If you wish to keep your Original degree, make sure to send a scanned copy to me or to the school for processing for a certified true copy stamp or letter. If you want us to process a copy of your degree using the Indirect Method listed below, then email it to us as an attachment. If your degree does not need to be picked up from the school and you wish for us to process the original degree or transcript then you must mail your documents to us. Your Apostille & other documents will be return to you using any of the courier shipping methods available. If you wish we can also process a copy of your educational document from any state or online degree school, certificate or transcript using a different procedure that is much faster & can be done cheaper. If the agency or country you are going to use your document in requires information about the schools accreditation we can usually provide that information on the affidavit that goes with your educational document if it is available. The accreditation information is taken from the Council for Higher Education Accreditation (CHEA), if your school is not listed in the database of Institutions & Programs then no information will be provided. You can send a scanned copy of your educational document to us. We will then attach an affidavit to your scanned educational document. The Apostille will be issued for your educational document based on the affidavit. The Apostille affidavit, educational document will be sealed with a grommet as one document. While this method works & you will get an Apostille is it subjective and may be rejected if the agency or country is looking for the direct method mentioned above. Always check with the agency who will be receiving your document. Many of these agencies are just looking for the Apostille & not how it was done, but it is subjective. If your document will be used in a Non Hague Convention country such as UAE, Egypt, etc, and your document is from an online school or a school that is not certified by a National certification authority there procedure is stricter and we may not be able to fully complete those transactions at the Embassy or Consular Level. There should be no other problem with school that are certifiable. For cost of this service go to http://nynotaryforyou.com then click on “Contact Us” then click on the “Getting Started” link. Finland is a member of the Hague Conference & they also subscribe through Ratification to the ‘Convention of 5 October 1961 Abolishing the Requirement of Legalisation for Foreign Public Documents’. What does this means to you? It means that you now can now apply for an Apostille through the New York Department of State Office of the NYS Secretary of State to have your documents legalized for use in Finland. There are many other countries similar to Finland that accept the NYS Secretary of State Apostille as an acceptable document for international legalization. So, there is no need to visit the Finland Embassy or consular office for Certification or a legalization stamp. If you need an fast, affordable New York Department of State Apostille Service for Finland, you can call or visit Notary & Apostille Service. To get started on an USA Apostille for Finland and for detailed instruction on how we can assist you in getting a Secretary of State New York Apostille for your document click on Notary & Apostille Service. Complimentary New York State Notary Public Service is also available for New York State Clients that are within our mobile notary public service area and whose documents require a Notary Public Signature & a Notary Public Stamp. Notary & Apostille Service, Inc., is a private company that helps its clients get their documents legalized (Apostille) for use in a foreign country since 2009. We are a registered New York State company that offers you a Safe, Reliable, & Affordable Apostille Service. Estonia is a member of the Hague Conference & they also subscribe through Accession to the ‘Convention of 5 October 1961 Abolishing the Requirement of Legalisation for Foreign Public Documents’. What does this means to you? This means you can now can apply for an Apostille through the New York Department of State Office of the NYS Secretary of State to have your documents legalized for use in Estonia. There are many other countries similar to Estonia that accept the NYS Secretary of State Apostille as an acceptable document for international legalization. So, there is no need to visit the Latvia embassy or consular office for a legalization stamp. If you need an fast, affordable New York Department of State Apostille Service for Estonia, you can call or visit Notary & Apostille Service. To get started on an USA Apostille for Estonia and for detailed instruction on how we can assist you in getting a Secretary of State Apostille for your document click on Notary & Apostille Service. Complimentary New York State Notary Public Service is also available for New York State Client in our mobile notary public service area whose documents require a Notary Public Signature & Stamp. I did an interesting Notary/Apostille job the other day in Brooklyn, BoroPark, NY. When I asked the elderly lady for her ID she brought me an expired passports. I explained to her that her ID needs to be current. She goes away and after a minute passes she brings back another expired passport, a little more current than the previous, but it was still expired. She does this several times but instead of bring back a valid ID she brings back a couple of old pictures of her and her son who is sitting with me. Finally, after not knowing what else to bring me, as she stood in front of me, pushes up the sleeve on her left arm and shows me a serial number that had been tattoo on her arm. She then asks me do I know what it was. At that moment I just pause & reflected on the many World War holocaust movies I’d saw & my visit to the holocaust museum in Washington, DC a decade ago, & said Yes, it from the concentration camps. It was a sad moment for me when I told her that I’m sorry for what happened and I glad she is here with us. After some prompting from her son she finally did bring me a current United States passport & I was able to complete the notarization of her signature. Being a NY Mobile Notary Public is an interesting job, you get to meet some wonderful people, that you may not have ever met in your lifetime. These moments also reinforce the history you’ve heard about from your parents or read about. 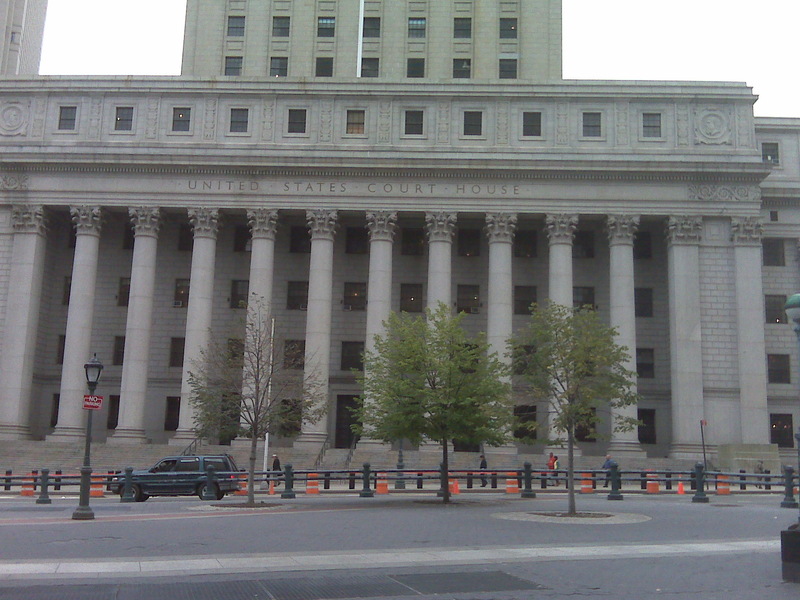 Apostille Service & NY Mobile Notary Public Service is available in your home of office. ☎ Call +1-718-569-7422 or +1.516.874.2882 to schedule an appointment or for more information. 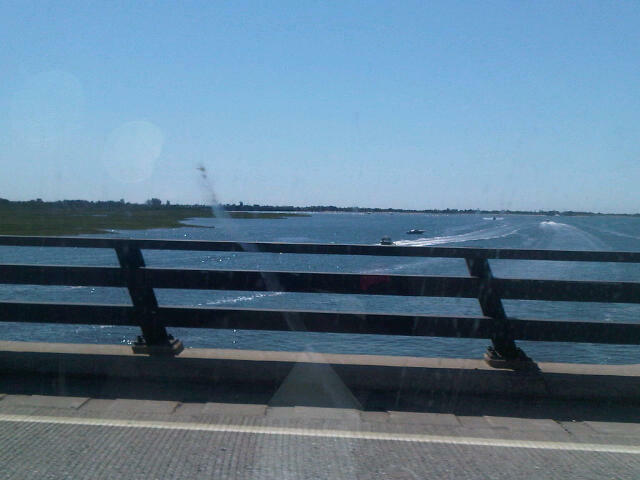 Here I was driving on my way to or from a New York Notary Public assignment to process a mortgage in Atlantic Beach, NY, it was such a beautiful site. I’m glad that I received a call for this notary public mortgage closing job in Atlantic Beach, Long Island, NY the weather was beautiful & there was a nice cool wind blowing. New York & Long Island Traveling Notary Public & Apostille Service. I will respond to your call at any hours of the day. I can travel to many areas of New York City (NYC) or Long Island (LI). No job is too small or too large. I can handle simple document or affidavit that requires a Notary Public signature & Stamp or a Notary Public raised seal (which is also call the embosser) or a larger job that requires multiple notary signatures & stamps such as on mortgage documents. Why use Notary & Apostille Service ? Service: Notary & Apostille Service is here to serve your interest . Experience: Notary & Apostille Service several years of experience helping clients with their unique Notary Public needs or Apostille requirements. Low Rates: We’re always looking to give our clients the best possible rates. We do this by offering different options to get your job done. Same Day Service: Notary & Apostille Service provide the type of service you require, Same Day or Next Day Service. Free Shipping: We also offer free pick up & delivery service and it may also include FREE shipping & insurance. Trust: Trust is something you get after having satisfied customers. After we have proven our self, we have built our reputation that our clients know that Notary & Apostille Service is capable of doing the job that we are given. Notary & Apostille Service show integrity in our operations & have a predictable expectation to our clients. A Certified Mobile Loan Signing Agent is a New York Notary Public with special skills in completing a witness closing and notarizing loan documents. They are are experience in various types of home mortgages such as purchase, refinance, reverse, CEMA, HELOC, modifications. As a independent Signing Agent operates I own my own business and work independently. I am normally hired by mortgage lender, closing agent which can be an attorney, title or escrow agent. One of the main reasons for using a Certified Mobile Notary Public is that they provide their service around your busy schedule and come to your home or office so you don’t have to take off from work just to complete your mortgage documents. As a Certified Mobile Notary Public Loan Signing Agent when I am finished getting the signature on the documents & notarizing it the documents are usually returned to the title or escrow company for processing. If you need my Mobile Notary Signing Services Now call now.